Painted wooden box with hinged lid. 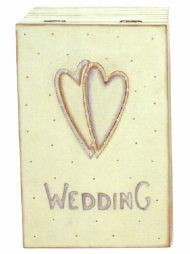 Perfect for keeping treasured memories. 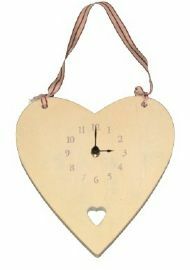 Gorgeous chunky heart-shaped wooden clock hanging from woven ribbon.